New Delhi, Jan 23: After the magnificent inauguration of 15th PBD convention, PM Modi and PM Pravind Jugnauth held a warm and productive discussion on the margins of PBD 2019. India and Mauritius are not only the neighboring countries but also have deep bonds of Kinship and culture. Revisiting this long-standing and time-tested reputable relationship, PM Modi and PM Jugunath discussed the entire spectrum of cooperation and partnership. 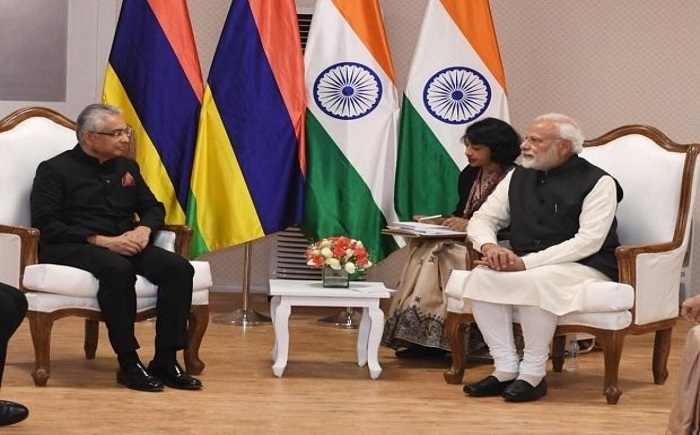 Both the leaders noted with satisfaction that India and Mauritius have always stood by each other, support each other and will continue to do so in future. The entire discussion is focused on the initiatives to further strengthen the bilateral relations, such as finalization of the Comprehensive Economic Cooperation Partnership Agreement (CEPCA), ongoing bilateral development cooperation projects. In this discussion, both sides deliberated about new proposals for critical partnership projects in health, disaster management and, energy with the expansion of cooperation in the Blue economy and collaborative actions in these areas. 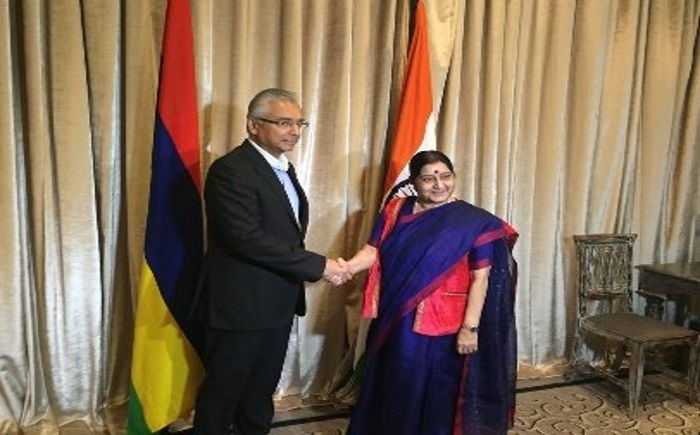 India is the largest trading partner of Mauritius and has been the largest exporter of goods and services to the Indian Ocean island nation since 2007. India's exports to Mauritius comprise largely of petroleum products. Mauritius restated that, India is of great importance for the steady development of umbilical relations between our two countries. This early finalization of CECPA will pave the way for giving a strong boost for close bilateral economic partnership. External Affairs Minister Smt. Sushma Swaraj also called on the visiting dignitary in Varanasi. She noted that India-Mauritius bilateral cooperation was comprehensive and multi-faceted and that our bonds date back centuries. Our close multifaceted relations have steadily developed over the years, based on the secure foundations of kinship and family ties, and of shared values of democracy, tolerance, peace, and development. Prime Minister Jugnauth will call on President Shri Ram Nath Kovind on 23 January 2019 in Varanasi. he will also be the Guest of Honour at the official celebrations to mark the Republic Day in Mumbai.